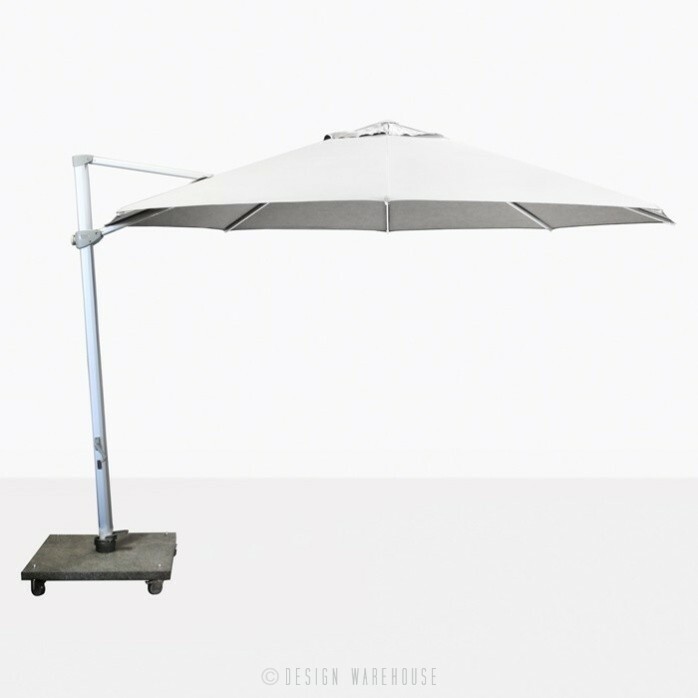 The Antigua 3.5 Metre Round Cantilever Umbrella has a Sunbrella® fabric canopy. Sunbrella® fabric is durable and engineered to resist the outdoor conditions. The Antigua 3.5 Metre Cantilever Umbrella comes in white, as shown and also black, grey and taupe. 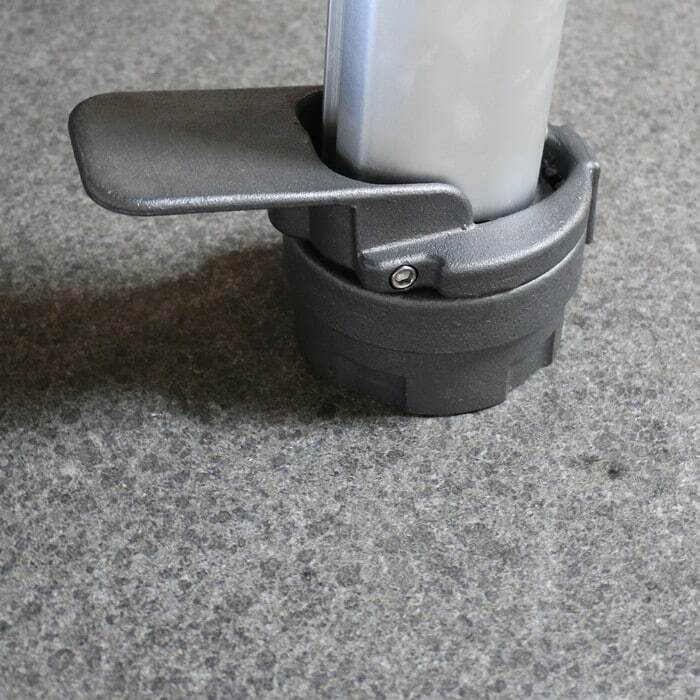 A 90kg granite umbrella base with wheels is included in the price. 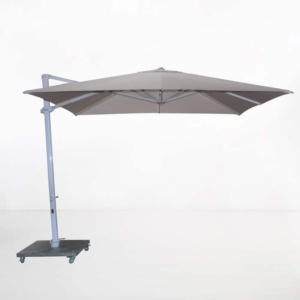 With the base, the umbrella height is 2.81 metres. 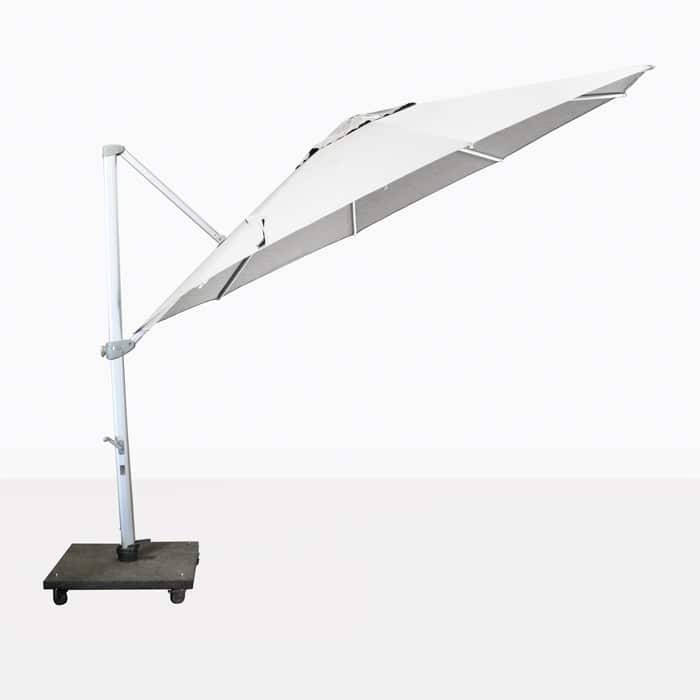 The white canopy is made of Sunbrella® fabric. 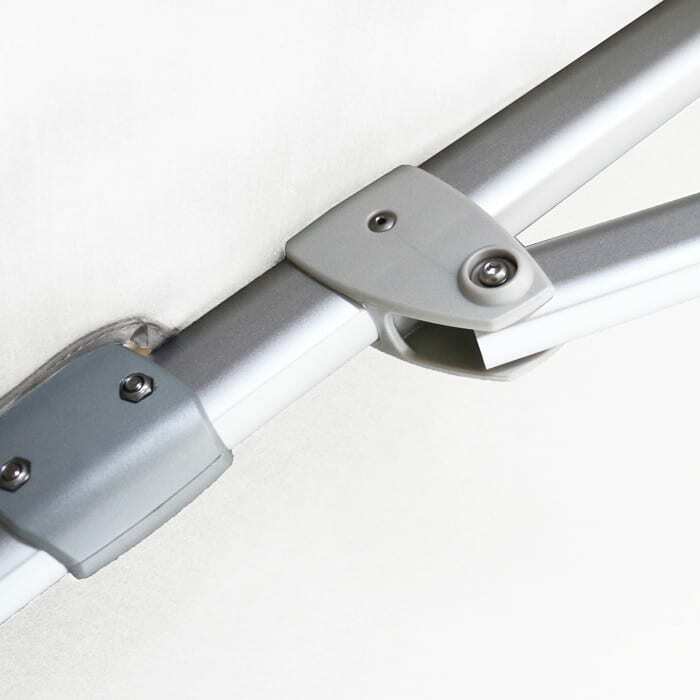 The pole is made from heavy duty powder coated aluminum with #316 Stainless Steel fittings ensuring strength and durability. 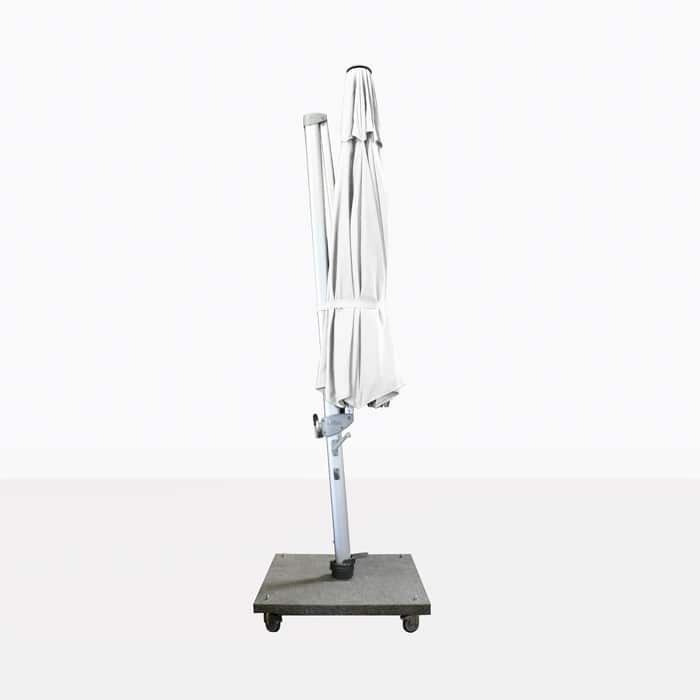 The umbrella base is included in – it is a heavy, square, granite base with wheels and locks on it so you can move it easily from space to space! See the Antigua Base for more details. Call us today to learn more about the Antigua 3.0 Metre White Cantilever Umbrella or any of our other umbrellas, we have many options.